First revised in 1999 and ultimately refined in 2008, the new SummaCut Series is the product from decades of Summa’s brilliant European engineering. Numerous refinements have been made in the SummaCut Series, such as OPOS-X technology, known from our most advanced S-Class cutting plotters, is now integrated into a newly designed drag-knife cutting head. SummaCut is capable of reading registration marks for contour cutting; not only on standard materials but also on reflective, holographic or mirrored materials, as well as through the many different types of laminates being used today. 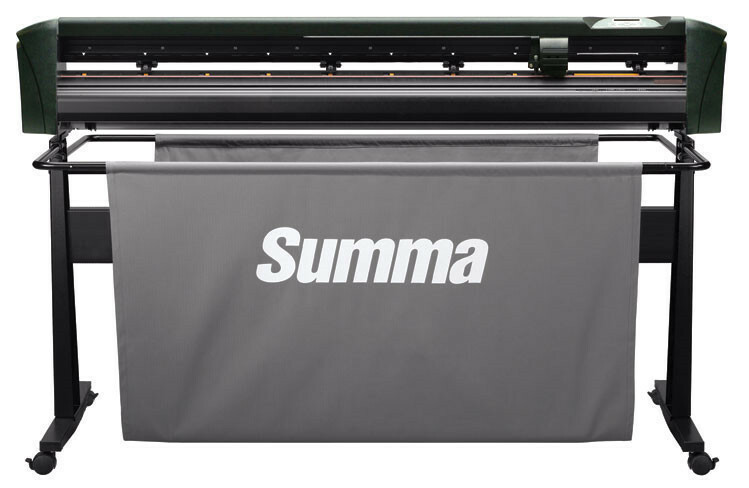 The SummaCut Series features highly complex algorithms to compensate for any deformation of the print, using the world’s most reliable sensor technology; this makes SummaCut a winning contour cutter for any sign or print shop.